Personalised long stem champagne glasses beautifully engraved to make a unique personalised gift for anyone celebrating an 21st Birthday. 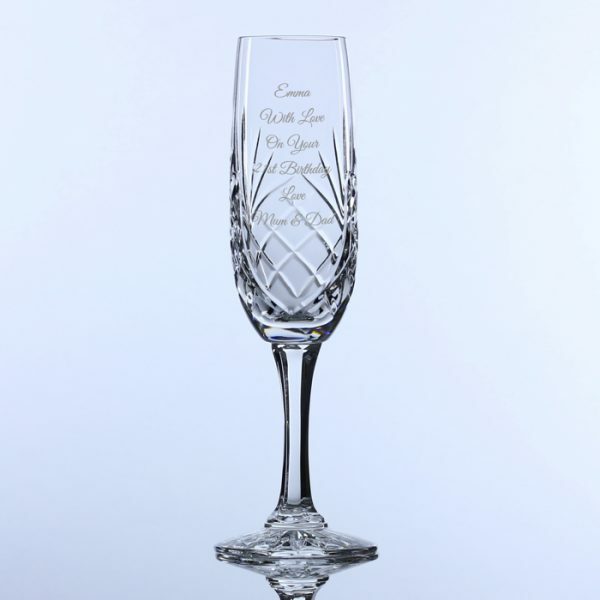 Make it Special with this beautiful 24% Lead Crystal Long Stem Champagne Flute with a panel on the front suitable for engraving your own personal message. 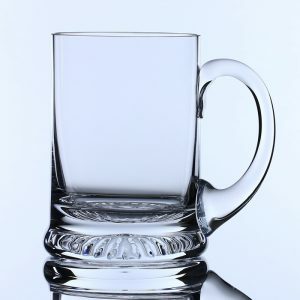 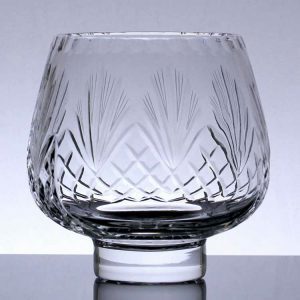 With it’s elegant handcut design, this will make a wonderful engraved gift to give for Birthday, Valentines or Wedding. 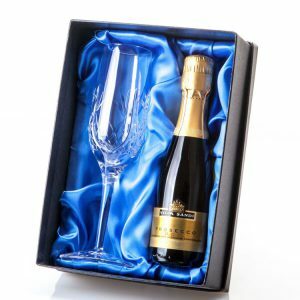 Supplied with a free gift box with the option to purchase a luxury satin lined presentation box. 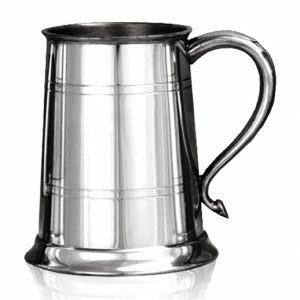 Earn 76 Reward Points worth £0.76 with this product.